Want to get a lot better at wakeboarding/wakeskating this summer and have an awesome time doing it in a great place with fun people!? Jibtopia Wake Park is proud to offer 5 day wakeboard clinics for the upcoming season! All skill levels are welcome! 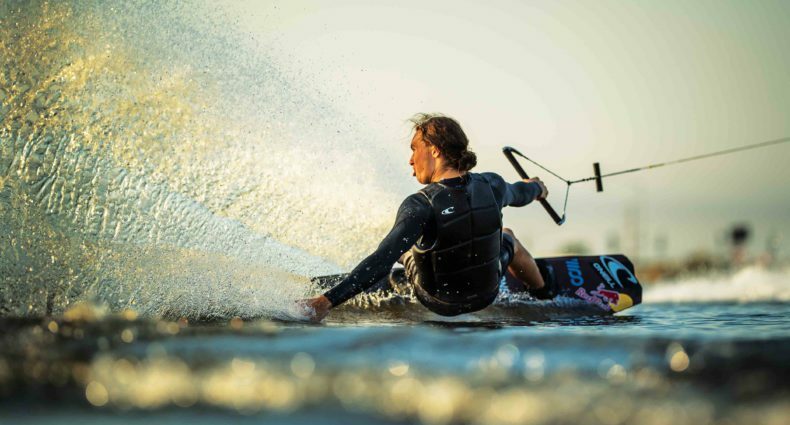 Whether you’ve never seen a wakeboard or you’re a water expert, our clinics will help you learn more safely, easily, and quickly in a super fun atmosphere! This is hands down, the fastest way to get good at wakeboarding. The clinics will certainly expand your bag of tricks, provide lots of fun in the sun, and leave you wanting more. 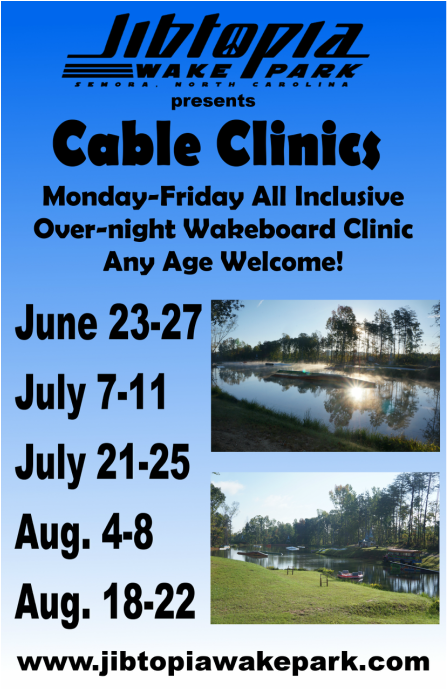 Our unique cable clinics will be Monday-Friday, all-inclusive, overnight stay or daily, wakeboard clinics for riders of all ages (Must be at least 7 years old). Participants will be carefully instructed by our experienced, professional coaches and hosted by our personable out-going and friendly staff. These camps will include a variety of fun-activities, delicious home-cooked meals, and on-site camping accommodations, all at an extraordinary value! If you’re looking to step up your riding game or just have an amazing time planned for this summer, our Jibtopia Cable Clinics will be a guaranteed great time!! Clinic participants will get Morning and Afternoon wakeboard instruction and riding everyday. A wide variety of other age dependent activities will be offered as well which will include some of the following: archery, horseback riding, dirt bike safety, instruction and riding, stand up Paddleboards, disc golf, and field games. Availability is limited. You can reserve a spot for you or your children for as little as $100! Reserve your spot now!